In an interesting development, Target has confirmed that it will soon play host to 25 mini Apple Stores, each built within the confines of one of its own big box retail outlets. 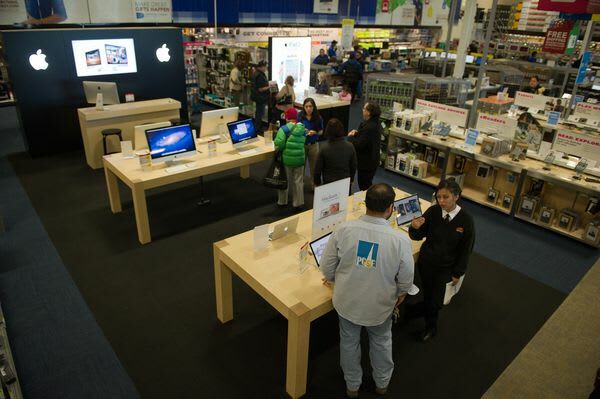 While Apple has sold the vast majority of its wares via its own stores for the past 10 years, the company has previously opened mini displays at most Best Buy outlets. iPods and a few other devices are also sold at Target and Walmart. It&apos;s not yet clear how large or elaborate the Target mini stores will be. In addition to Apple, the Minneapolis-based mega-retailer is preparing to launch partnerships for several other boutiques within its stores, to be known as "The Shops at Target."